It’s always a good thing when technology makes our lives easier. The development team has been hard at work for months and there’s more to this great system than you might think. If you’re looking for a new provider download one of our merchant account resource guides to help point you with your merchant account set up needs. What do you get with access? First off, this can (and should) replace the First Data Emerchant access and if I may be so bold, that’s a great thing! It’s like trading in your 1989 Honda Accord for a brand new 2014! The Card Connect Merchant Center is so much easier to use and the features that are extremely practical and useful. There was talk about charging a monthly fee for the service because of all the added features that it comes with, but Card Connect felt that it was better to simply offer it to clients at no charge. So again, this merchant center comes at no additional cost to you, as a client of Card Connect. This is a screenshot (shown below) of the interface and as you can see, it is laid out with a very clean and efficient feel. So what do you get with each of these tabs? 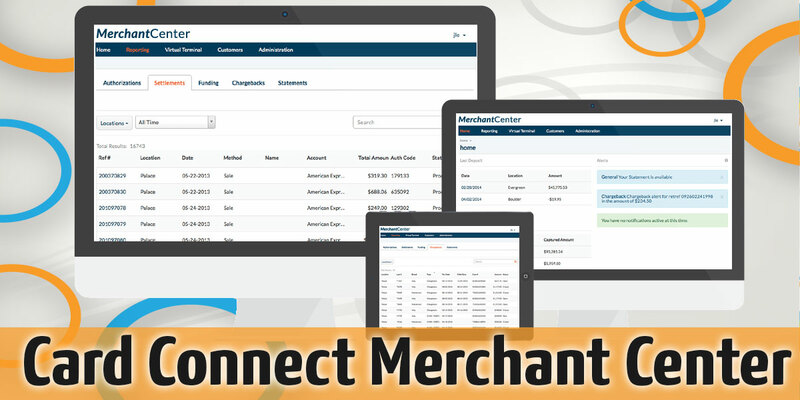 With the merchant center, you will gain free access to nearly everything you need to manage your merchant account. The settlement tab allows you to view transactions that have been sent out for settlement and you can download a csv report too. Searches by cardholder name, store location, time frame or date range are all available to you. Chargebacks are a never welcomed occurrence but when they do happen it will now be easier than ever to research the situation at hand. 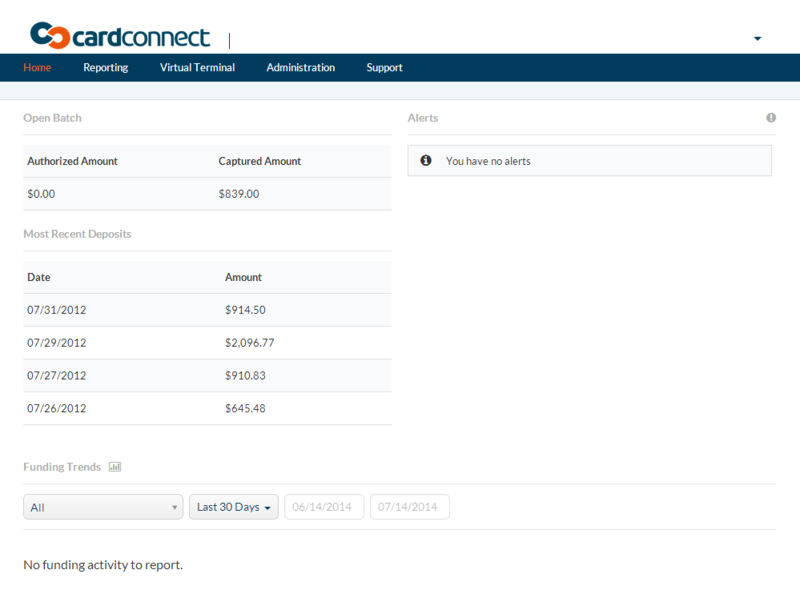 This tab also includes information for the chargeback department to assist you with any issues you might come across. There are additional features that are being worked on as we speak. The new features will be rolled out in the future and will simply be added to the merchant center options. The merchant center is also a web gateway that will replace the need for Authorize.net or NMI.com for example. The gateway option has the ability to “talk” with Ingenico credit card terminals so you can achieve a fully integrated equipment solution. Get in touch with us today to find out how you can set up your Card Connect Merchant Center account.